Award-winning writer Judy Pearson has an unwavering belief in two things: one, valuable lessons can come out of all journeys, even the difficult ones. And two, we all owe a payback to humanity. For her, those beliefs were made abundantly clear after her diagnosis and treatment for Triple Negative Breast Cancer. She was astounded that neither her body nor her mind returned to their pre-cancer space. Making sense of her cancer journey, and finding its purpose in her life, became her first goal. Judy began a search for answers to her own physical and psycho-social issues, and an amazing trend appeared. 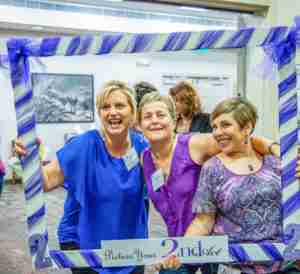 Women cancer survivors around the country were doing great things, serving the social needs that spoke to them. They were creating what Judy has come to call a “2nd Act” after cancer, using their gifts of life and experience to give back to the greater good. Pearson listened to hundreds of their stories. Equally astonishing was the number of women who were stuck in their survivorship. Loss of jobs, financial stability, relationships and self image were causing post-cancer problems these women had never anticipated. Judy listened to their stories as well and realized they needed the kind of inspiration and motivation she had seen in those who had already structured their 2nd Acts. Judy recognized that women cancer survivors have unique needs. And suddenly the mission became clear: the single component missing from most support groups is how to change the survivorship question from “why me?” to “what’s next?” In 2016, after three years of research and refinement, A2ndAct.org was born. The tapestry of love and hope are clearly and beautifully woven through the pages of this site. You’ve heard our story, now read the Purple Tribe’s stories!